Patients Reported Outcomes (PRO) are more and more used in clinical research or in medical practice for measuring quality of life (QoL), pain, anxiety or fatigue for instance. Nevertheless, these measures are often difficult to interpret for physicians and statisticians. The Minimal Clinically Important difference (MCID) is a useful tool for the interpretation of such data. Unfortunately, few studies focus on the determination of the MCID of a PRO. Indeed, such studies are expensive and can be difficult to perform and there is no consensus to date on the best method for the MCID determination. When PRO are used to estimate a phenomenon, the unit of measurement is classically the score (Classical Test Theory – CTT), but a first difficulty for the MCID determination on the score is the lack of interval property of the scores (property implying that a score unit always represents the same quantity of the studied phenomenon). Without this property, the interpretation of the MCID value can depends of the initial value of the score. Another potential difficulty is the presence of Response-Shift (RS): this phenomenon appears when the perception of the measured concept by the patients changes over time. In presence of RS, and without adjustment on it, an important risk of bias is possible regarding the MCID determination. Actually no method has been found in the literature to determine the MCID in presence of RS. Rasch Measurement Theory (RMT) is an interesting alternative to the use of scores, because these models allow obtaining a measure of the PRO, the latent trait, having by definition the interval property. More, RMT allow an easy handling of missing data. Indeed, in these models obtained estimations of the latent trait independent of the observed items, and consequently these estimations are unbiased even if missing data are informative (missing not at random and possibly linked to the patient's health state). The main objective of this project consists in comparing methods for the MCID determination in terms of bias on the MCID, sensitivity and specificity to detect individuals with true change, and robustness to the presence of missing data and response-Shift. In a first time, the model characterizing the relationship between the MCID and the latent trait (eg: quality of life) will be built. The procedures allowing the MCID determination will be then defined for CTT and RMT. In a second time, a simulation study will be performed in order to compare different method of MCID determination within these two measurement paradigms. 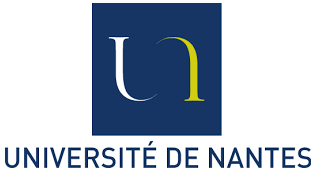 In a third time, the procedures will be implemented under a Stata module and under the PRO-online software (http://pro-online.univ-nantes.fr), in order to make them freely available for researchers. 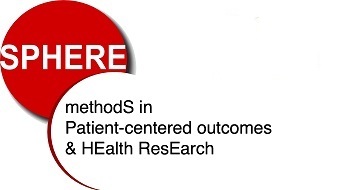 Last, the procedures will be used on real data chosen for their diversity: a study regarding the link between satisfaction of care and quality of life (SATISQOL), a study evaluating the Health-related Quality of Life for transplanted patients (ReTransQol), a study on the adaptation of patients with cancer to their illness (ELCCA) and a study measuring the cognitive distortions of problematic gamblers (GABS+GRCS). Hardouin J.B., Blanchin M., Sébille V. A Guttman’s errors based method for Response-Shift detection at the individual level: algorithm and comparison with the Ahmed’s procedure. 21th annual conference of ISOQOL, 15-18 october 2014, Berlin, Germany, Quality of life research 2014, 23: 81, 2014. Hardouin J.B., Blanchin M., Sébille V. Impact of response-shift on the interpretation of a longitudinal structural equations model: an application on the SATISQOL study. Chronic diseases, adaptation and perceived health: stakes and future, 3-6 juin 2014, Nancy, 2014. Rouquette A., Blanchin M., Sébille V., Guillemin F., Côté S.M., Falissard B., Hardouin J.B. Utilisation des modèles issus de la Théorie de Réponse à l’Item (IRT) pour la détermination de la Différence Minimale Cliniquement Pertinente d’un questionnaire. EPICLIN 7 - 7ème Conférence Francophone d'Épidémiologie Clinique, 16 & 17 mai 2013 - Paris, 2013.